NPR's political position is heard by many, and its audience is led to sympathize with the Islamic enemies of civilization. Our very future is in upheaval and I challenge NPR's motives, ethics, and sense of responsibility. I have written NPR (Notorious for Palestinian Revisionism) in the past, regarding its position on the war of Islam against Israel, the Jews and Christians worldwide. 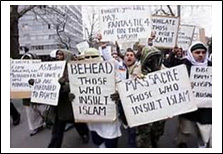 Whether it is Hamas, ISIS, Muslim Brotherhood, Hezbollah, Boko Haram, and even the most ludicrous appellation – "religion of peace," their goal is the same: global conquest and the spread of Islam and Sharia law. 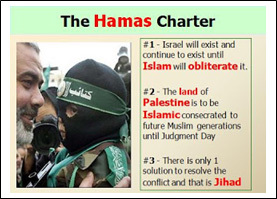 The Hamas charter applies to all Muslims, including Palestinians, and how it obligates them to continue their 1400 years of bloodshed until the world is entirely Islamic, under Allah. Their history and plans are clearly delineated in the first paragraph of their Covenant – they obliterated cultures before and will continue doing so in the future. What is it about "obliterate" that NPR doesn't understand? "Israel will exist and will continue to exist until Islam will obliterate it just as it obliterated others before it. Our struggle against the Jews is very great and very serious. It needs all sincere efforts." Hamas's name means Islamic Resistance Movement in Arabic – violence. They will never recognize the State of Israel's right to exist as an independent sovereign nation, and Islam intends to "wipe it out as it wiped out what went before." Moslems follow Mohammad's behavior and decrees for jihad against all who reject Allah as their god and Mohammad as their prophet. They wiped out civilizations before in the Middle East, destroyed artifacts to erase all remnants of their existence, and they continue their malevolence, death, destruction, enslavement and looting. Their methods are numerous and adaptable, using violence as needed, and stealth jihad where it is more prudent. They will decapitate for expediency, but infiltrate into government and schools, using propaganda and deceit. They are inventive and methodical, and above all, dedicated. Followed by every lame apology is another NPR report to the ill-informed, vulnerable public, using every myth and canard to claim Palestinian victimization by Israel. If there were a modicum of sincerity and honest journalism, the reporters would properly investigate incidents and compare their findings with those of the Jerusalem Post or Arutz Sheva before going to print. Hamas, a Palestinian branch of the Muslim Brotherhood, is designated a terrorist organization by Israel, the United States, Canada, the European Union and Japan, yet NPR continues to transmit its dishonesty to the masses. Hamas is responsible for suicide bombings, murder tunnels, unspeakable slaughter and mayhem, and the launching of tens of thousands of rockets and missiles to harm innocent civilians and children in Israel (not to mention the chaos, kidnapping and enslaving of students in Africa) and is now restoring to daily routine their 7th century barbarian practice of chopping heads of innocent civilians to Europe and America. Be reminded that this death cult has no qualms about victimizing their own women and children, using them as human bombs and human shields to gain public sympathy. By contrast, it has been proven that the IDF does its utmost to avoid civilian casualties when retaliating against Hamas forces. Israel is a small home to many religions and nationalities, fighting for its survival amid a sea of 1.3 billion trained, obedient, riot-ready Muslims on a land mass a thousand times the size of Israel. Americans benefit from Israel's industry, creativity, accomplishments in science and medicine. NPR's staff would live freely in Israel, but eventually face a subservient life and horrific death in an Islamic country, yet they support the global Islamic cause as though they were mad or suicidal. Even NPR is being hoodwinked by its deceptive reporters. Therefore I need to convey that Israel was vindicated by the United Nations' damage assessment of Gaza. They confirm that Israel attacked Hamas targets with restraint. Israel did not retaliate by rote against Hamas's systematic attacks on civilian targets, but bombed specific facilities, bases, weapons and tunnels. Most of the damage was limited to areas of 25 meters or less, and most of Gaza was not damaged – less than 5 percent of Gaza was hit by the IDF. The most populated areas were disproportionally UNdamaged, or had limited damage. The areas reported in the UN damage assessment report are compatible with the IDF briefings on Hamas's battle areas. When Hamas deliberately concentrated its terror against Israeli civilians from densely populated urban areas in Gaza, the areas were undamaged. Israel demonstrated exceptional efforts to minimize collateral damage by warning civilians, thereby forfeiting the surprise effect; they were guided by security rather than retaliatory or political expediency. 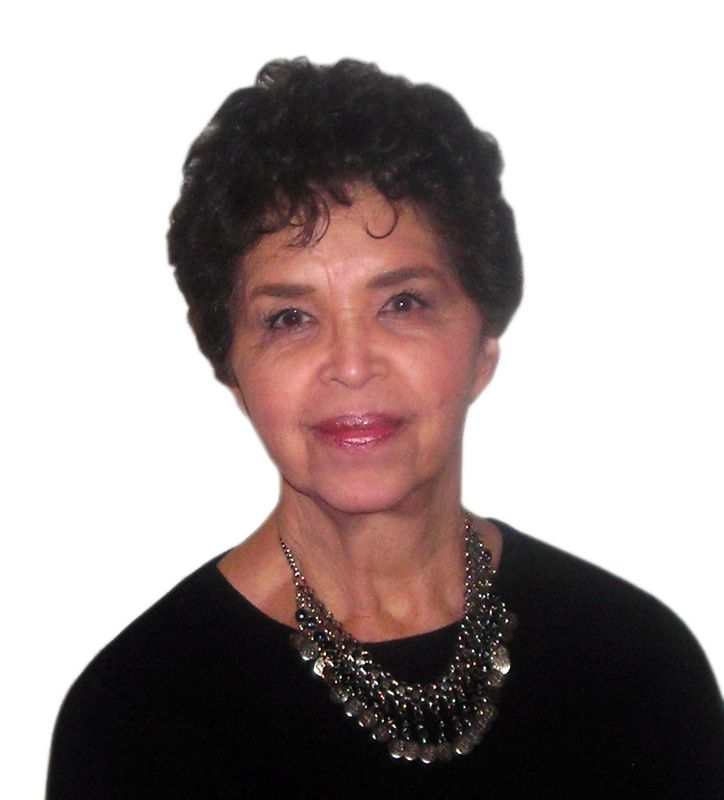 Israel followed surgical bombing tactics, not carpet bombing, not random or indiscriminate. Most Israeli bombing hit terror-related sites, such as multiple tunnel entrances and shafts, and mortar and missile launching sites. Fifteen percent of Hamas rockets and mortars were short, hitting civilian targets inside Gaza. Does NPR grasp that their protection emboldens Muslims to increase their evil against the world, and that what Islam does in Israel, England and Sweden will soon become conventional in America? Perhaps NPR can explain how its staff is preparing to survive our destruction. Any stealth funds they receive will only guarantee that they will not be eaten by the Islamic crocodile first; but they will be eaten. NPR's Lourdes Garcia-Navarro has reported that Israeli settlements in the West Bank are "seen" as illegal, rather than asserting that they are legal under the Balfour Declaration, San Remo Treaty, League of Nations' Palestine Mandate (article 6), and UN Security Council Resolution 242. She has reported that Israeli residents are violent toward Palestinian residents, but statistics prove otherwise. NPR reported that Mayor Goldsmith "said" there was a massacre of the Fogel family, but not that the massacre occurred, thereby questioning the occurrence and diminishing its importance and impact. Ignoring Palestinian violence, arson and stone throwing, Garcia-Navarro added there was "no justice for Palestinians." Mike Shuster's report on the Second Intifada, and Daniel Schorr's report on the Gaza Flotilla, among others, were severely skewed. Most recently, NPR reported the number killed in Gaza, without explaining the civilian count – those women and children intentionally centered in the war zone to increase the horror, as Westerners express their shock at why Israelis kill so many "innocents." NPR fails to inform the public that the IDF does and did warn citizens to flee an area that will be counterattacked, and that these dead are victims of their own people. Will NPR ever realize that honorable journalism might be used to motivate and unite citizens to save our world before we run out of time?